CUSTOM PICTURE FRAMING WITH MUSEUM QUALITY AND CRAFTSMANSHIP AT A PRICE THAT PUTS A SMILE ON EVERY CUSTOMERS FACE ! "SOUTH JERSEYS" FINEST IN CUSTOM FRAMING ! NEEDLEPOINT, CANVAS, SHADOW BOXES FOR SPORT JERSEYS&CHRISTENING GOWNS &MORE! 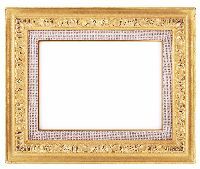 LET US CUSTOM FRAME ALL YOUR CHERISHED POSSESSIONS & MEMORIES SO THEY WILL LAST A LIFETIME! YOU WILL LOVE OUR FRAMES! SERVING SOUTH JERSEY FOR OVER 18YEARS ! LOCATED IN PITMAN'S HISTORICAL SHOPPING DISTRICT. NEXT TO KELLY GREEN BREWING CO. AND PIZZERIA MANNINO'S. "WHY PAY HIGH PRICES FOR PICTURE FRAMING AT THOSE OTHER STORES WHEN YOU CAN HAVE GREAT PRICES AND STILL GET MUSEUM QUALITY AND CRAFTSMANSHIP"! VOTED #1 BEST FRAME SHOP!